There have been many losers in the recent poetry plagiarism scandal – the poets whose work have been stolen, the poetry community (readers, writers, publishers etc) and even the plagiarists themselves whose reputations are, at the very least, heavily tarnished and who face a long period of rehabilitation if they want to rejoin the “poetry community” in Australia. Rochford Street Review was not immune to these impacts. Allot of time is taken up chasing down small publishers, trying to arrange review copies, launch speeches and the like. At the same time much more time is taken up writing reviews and/or chasing up other reviewers who are happy to review for us knowing that there is no money involved – if only we were all paid for our time! 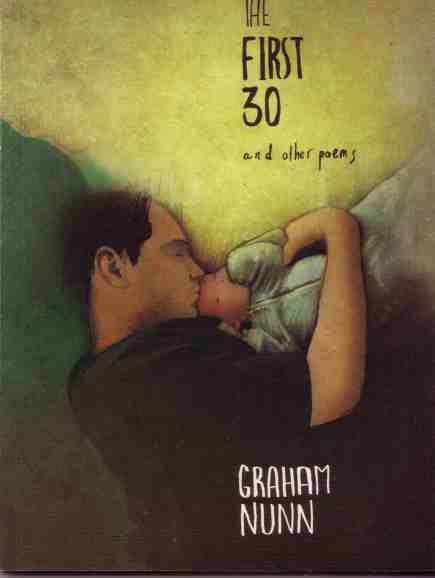 Some months ago I began an email conversation with Graham Nunn and he sent me a number of Another Lost Shark publications for review – among them was his latest book The First 30 and Other Poems. A reviewer volunteered to review it and so it was mailed off. Then then scandal broke. I was about to email the reviewer and ask him to wait and see how things developed before proceeding when I received an email with a completed review. The reviewer stated that he realised that the review was probably not going to be run given the circumstances. In short he had wasted him time. My reaction was to wait and see what happened. Nunn had just posted his response on his blog (http://anotherlostshark.com/2013/09/14/in-response/) – a response that raised more questions than it answered. I had emailed Nunn with some of my concerns, namely could he provide a list of his ‘influences’ , why had he taken down so many of his poems from his blog and why had he removed The First 30 Days from sale. To date I have not had a response. The final straw came yesterday when it was alleged on social media (Facebook) that Nunn’s poem ‘Yearn’, which appeared in the recent high profile anthology Australian Love Poems 2013 edited by Mark Tredinnick (http://inkermanandblunt.com/home/projects/australian-love-poems-2013), was suspiciously similar to a poem by Lilly Emery ”The Wish of Your Love’. Both poems are reprinted below. This poem is also one Nunn has removed from his website. Given this there is no way I can run the Nunn review at the present time. When and if Nunn makes a further response that directly addresses the allegations and, if the book is returned to sale, then perhaps the review could be run. I name you goddess of the shining breasts. Somewhere your eyes’ hue has a rival. and bats feel their way skyward. There is so much hiding. so much as reaching through it. and the asbestos in the neighbour’s roof glows silver. Lights of the midnight sky make me wish you was with me tonight! I want what can’t be true and would be true love from you! and may be back to scrub next winter. of lovely, otherwise faraway things. This entry was posted in Another Lost Shark, Graham Nunn, Issue 9, Mark Roberts and tagged Australian Literature, Australian poetry, Graham Nunn, Lilly Emery, plagiarism, poetry community by Mark Roberts. Bookmark the permalink. Latest title: Sea of Heartbeak (Unexpected Resilience) (Puncher & Wattmann, 2013). Sad. In this day and age with the god-like tools of internet searches omnipresent, I wonder why anyone would bother. Take the line from someone’s work and you should damn well acknowledge it! I wonder if Nunn will return the $80 payment from ‘Yearn’ being included in The Love Poem Anthology 2013? Maybe he should donate it to a worthy cause… I mean it is not like we’re revisiting the Angry Penguins, is it?